Looking for some treats to take to your next Halloween party? 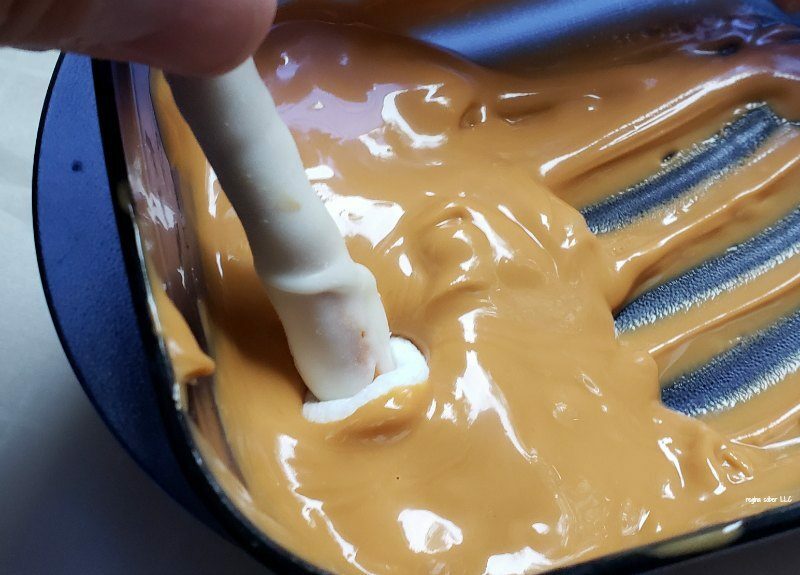 Check out how you can make these delicious earwax treats rather easily. Completely edible? Yes! 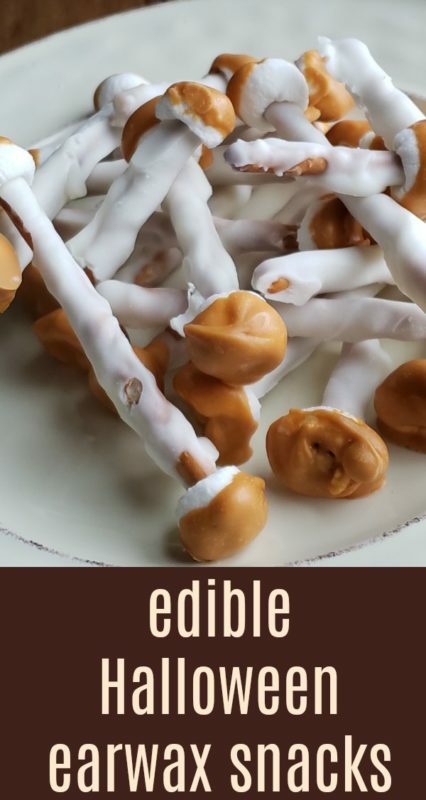 If you are making these for party with kids, they will love this gross snack. The ingredients are not gross. It’s just the name. 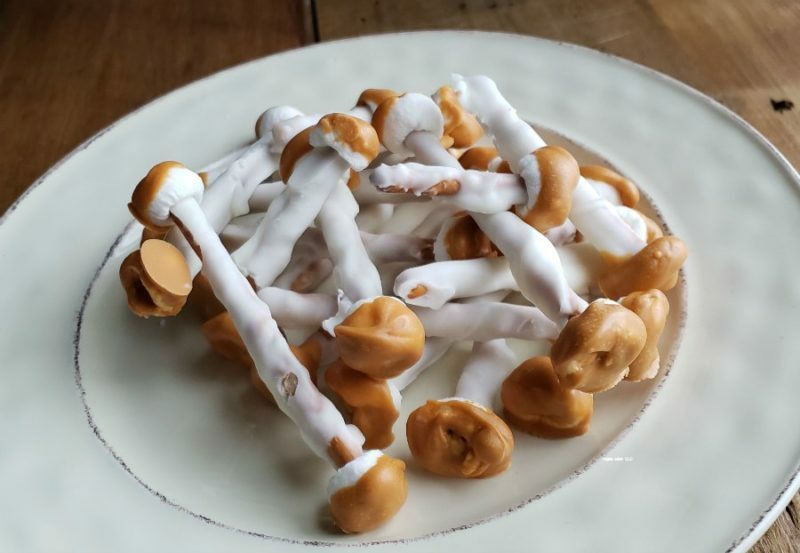 Making white chocolate pretzels with butterscotch dipped marshmallows just doesn’t have the same Halloween effect, don’t you agree? Kids will love this gross Halloween food. 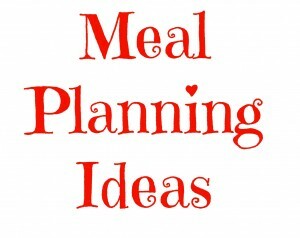 Tip: You are going to want to use parchment paper to keep the dried chocolate from sticking to your plate. The quantities of ingredients are relative to how many pretzels you want to dip. A bag of pretzels will require about bag of each ingredient. Do not put them on a plate. They will get stuck and you’ll have to break them lose, breaking the pretzels. In a microwave safe container, melt the white chocolate (we used dipping chocolate). 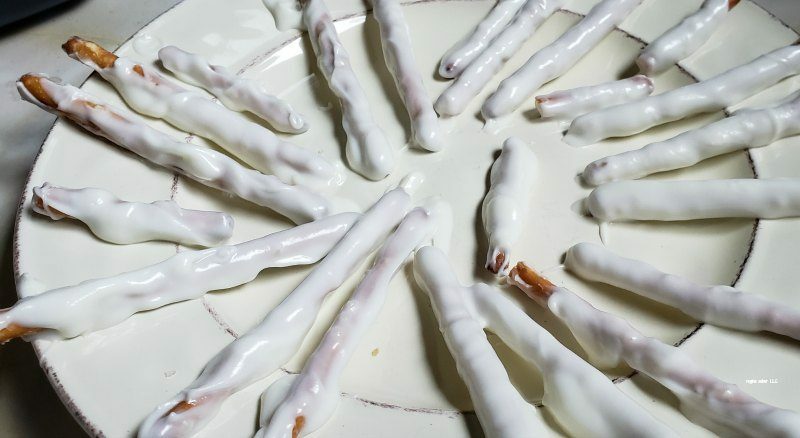 Take the pretzel sticks and dip them completely and place them on parchment paper. Allow to dry. Once dry, place a marshmallow on each end. In a microwave safe container, take 1/2 cup of the chips and melt them for about 30 seconds (give or take, depends on your microwave. Stir until smooth. Tip: If your chips seem a little dry, add a drop of vegetable oil to your chips and stir. It should smooth out. dip each marshmallow into the butterscotch chips and set on the parchment paper to dry. Once you have dipped all the marshmallows, you are done!